Delhi recorded its lowest pollution level of the year on Sunday after a spell of rain but the air quality remained in the 'very poor' category, authorities said. According to the Central Pollution Control Board (CPCB) data, the overall Air Quality Index (AQI) in the city was 347. An AQI between 100 and 200 comes under 'moderate' category, 201 and 300 is considered 'poor', 301 and 400 is 'very poor' and that between 401 and 500 is 'severe'. Thirty-one areas in Delhi recorded 'very poor' air quality, while it was 'poor' in two areas, the CPCB said. In the National Capital Region, Ghaziabad, Faridabad, Gurgaon and Noida recorded 'very poor' air quality, it said. Delhi's air quality improved significantly on Sunday after rainfall washed away pollutants and cleansed the air, authorities said. The city's air quality has been oscillating between the upper range of the 'very poor' and 'severe' category for the past two weeks. This is the first time this year that the air quality has been recorded in the lower range of the 'very poor' category, the authorities said. The overall PM2.5 level (fine particulate matter in the air with a diameter of less than 2.5 micrometers) in Delhi was recorded at 197 while the PM10 (fine particulate matter in the air with a diameter of less than 10 micrometers) level was at 312, the CPCB said. The Centre-run System of Air Quality and Weather Forecasting (SAFAR) said the overall air quality over Delhi is 'very poor'. "Moderate foggy conditions will prevail for the next two days over Delhi and surrounding regions and may not allow significant improvement. 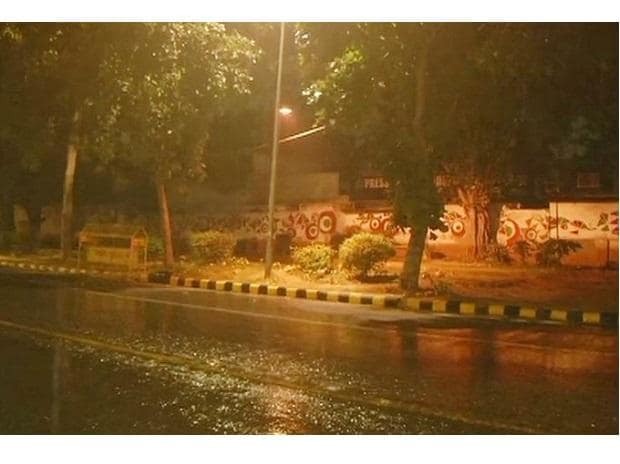 An active western disturbance is very likely to cause fairly widespread moisture intrusion over the northern region including Delhi," the SAFAR had said on Saturday. "The AQI is expected to remain in 'very poor' range for the next three days with declining magnitude," it had said.